Hulu is adapting CATCH-22, based on the Joseph Heller novel, as a six-part limited series that is set to bow Spring 2019. 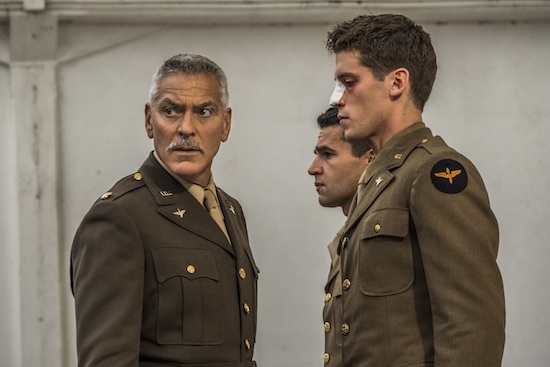 Per the streaming service, “CATCH-22 is the story of the incomparable, artful dodger, Yossarian (Christopher Abbott), a US Air Force bombardier in World War II who is furious because thousands of peoplehe has never met are trying to kill him. But his real problem is not the enemy, but rather his own army which keeps increasing the number of missions the men must fly to complete their service. Yet if Yossarian makes any attempt to avoid his military assignments, he’ll be in violation of Catch-22, a hilariously sinister bureaucratic rule which specifies that a concern for one’s own safety in the face of dangers which are real and immediate is the process of a rational mind; a man is considered insane if he willingly continues to fly dangerous combat missions, but a request to be removed from duty is evidence of sanity and therefore makes him ineligible to be relieved from duty.” The series also stars Kyle Chandler, Hugh Laurie, and George Clooney (who directed two episodes). Netflix’s newest original series, BLOODLINE, boasts and impressive cast — Kyle Chandler, Ben Mendelsohn, Linda Cardellini, Norbert Leo Butz, Jacinda Barrett, Jamie McShane, Enrique Murciano, with Sam Shepard, and Sissy Spacek — and now, we have our first little tease of what’s in store. BLOODLINES launches March 2015 on Netflix.